Purslane – Just a Weed, or an Unrecognized Health-Boosting Plant? Purslane, also known as Portulaca oleracea, is considered a common weed to many that may even be growing in your garden right now, without your explicit invitation. It started its cultivation in India and Persia, and spread to the rest of the world. Some cultures pluck it out and throw it away with leaf clippings and other weeds, while others cultivate it specifically to eat as food. Purslane is an aesthetically attractive weed with fleshy leaves and often yellow flowers, but its health benefits are even more desirable. We’ll update this portion of the article a information comes in. Very frequent use of purslane in the diet of Crete and of Icaria, where longevity brakes records. I wonder what it tastes like? wow .now I’ve idenified 2 useful weeds. purslane, dandilion s for the bees first food and then dandilion jelly with the flower tops, and salad with the young greens. Look at spurge pictures to be able to tell the difference because spurge is toxic! Apart from the slight difference in color ,is there any difference between the wild and farm grown purslane? And are seeds available for planting in ones garden and if so where can I buy them ?? 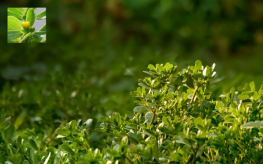 http://www.homesteadingtoday.com/country-living-forums/plant-tree-identification/406286-purslane.html See Ray’s comment about spurge, a poisonous purslane look alike. Throw it in some soup or your fresh salad. Most chickens love purslane. It has more Omega-3 fatty acids than any other land plant (some seaweeds are higher), so throwing purslane in the chicken coop is a great way to boost the omega-3 content of their eggs. Where could I purchase "Purslane" or even the seeds to start growing this. I may even have it in my yard, but do not know exactly what it looks like or be able to identify it. Natural Plantation in Canada. http://www.naturalplantation.com is a good source. A lady friend I have from Mexico who immigrated here legally 50 some years ago told me of this healthy 'Purslane' and how she explained to her daughter how to cook with it. At the that time I looked it up and found lots of recipes. Who would've known otherwise without sites like this to tell society of our ready-made produce garden right in our backyard. We've also got dandelions that are so healthful too and of course if you're lucky enough to have fruit trees. Wow perfect timing for this article, I just pulled some of these “weeds” from my lawn. Now I will let them grow an research them more, but if I were to consume this plant, how would I prepare it safely?